Based on the San Francisco Peninsula, our business lunch catering service delivers office lunches daily throughout the San Francisco Bay Area. 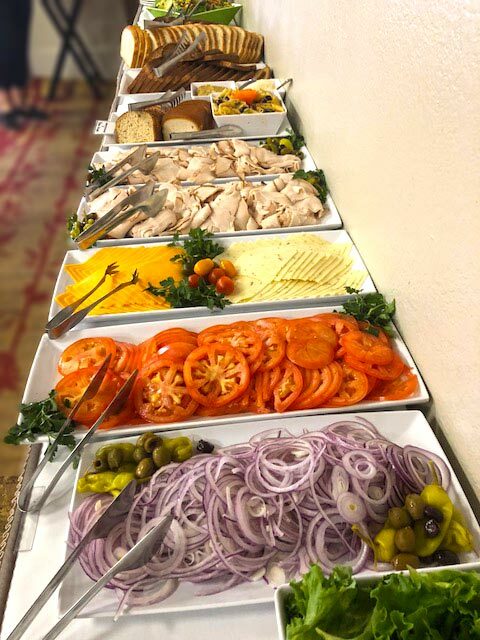 Bay Area Corporate Catering is centrally located on the San Francisco Peninsula to ensure a trouble-free and timely business lunch catering service. We have a zone delivery map to help guide you through the areas that we serve. A small delivery fee will be applied to Zones 2-5. 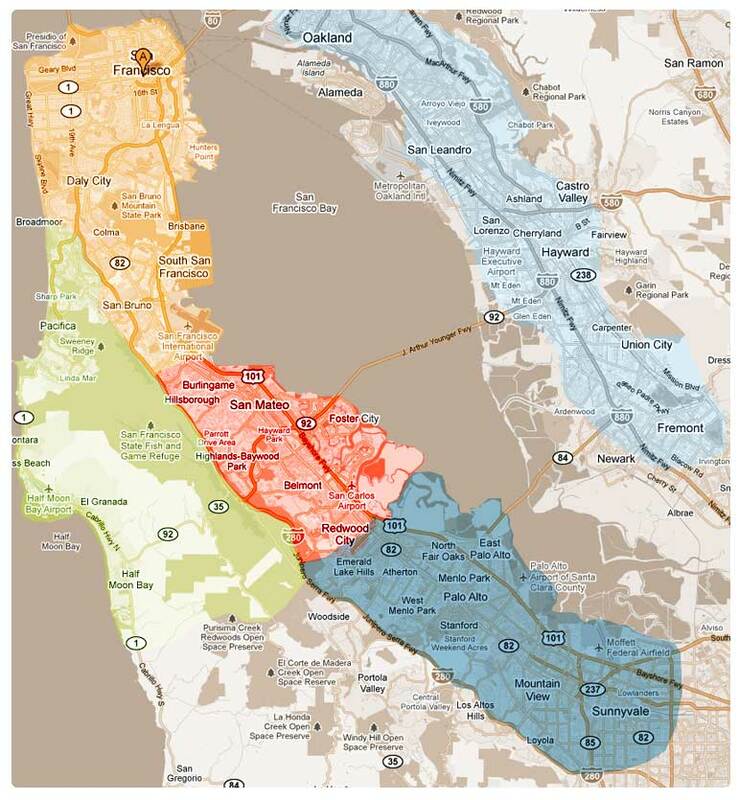 Atherton, Belmont, Brisbane, Burlingame, Daly City, El Granada, San Mateo Coastside, Foster City, Fremont, Half Moon Bay, Hayward, Menlo Park, Mountain View, Oakland, Palo Alto, Redwood City, San Carlos, San Francisco, San Leandro, San Mateo, South San Francisco, Union City. Don’t see your city listed? Contact us, we can serve your business lunch catering needs in any San Francisco Peninsula, Silicon Valley or San Francisco Bay Area location.